The first Vulcan motorcar may have been inspired by the well-known Vivinus voiturette since like the Belgian product it had a front-mounted vertical engine in a tubular chassis plus transmission by belt to a change-speed gear on the back axle – and it looked very similar apart from the small radiators on the bonnet sides. The car was made by the brothers T and J Hampson who had established the Vulcan Motor & Engineering Company at Southport, Lancashire at the end of 1901. Shaft-drive replaced the belt for 1903 and the cars become more substantial with an armoured-wood chassis and artillery wheels. 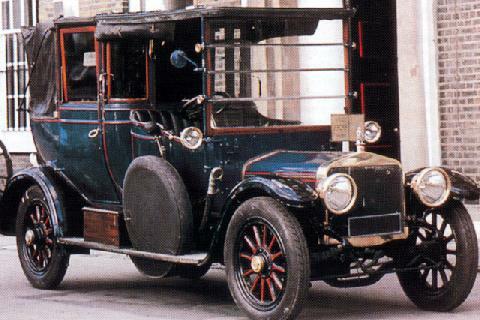 A front radiator was used on the 1904 cars and a two-cylinder model was introduced, with fours appearing in 1905. Vulcan established a sound reputation and throughout the Edwardian period production ran at about 300 cars per annum. The firm's activities in the 1920s are complex, but when car production was phased out commercial vehicles continued to be made at Southport until 1937.